The following pieces represent a couple of the iterations in design and process that Kenner went through back in the mid-1980's. Each piece has it's own part in the creation of the Sise Fromm action figure. This figure really changed before it was released. I don't know how early this piece was in the conceptual phases, but it's drastically different from the standard action figure. This painted hardcopy's only moving parts are it's arms. The head and torso were originally sculpted as one large part. The urethane material hardcopies are made of is especially noticeable here given the sheer bulk of the piece. It really weighs a lot. This piece is hand painted and assembled. Although it does not match the final action figure it does, however, match Kenner photography from the 1985 Toy Fair catalog. The above image shows the bottom of the figure. Interestingly, it is painted red, but more importantly it displays the name of the character on the bottom. Like the Uncle Gundy figure, I believe this particular figure was probably the one shown in the catalog photo since standard hardcopies don't have names written on them. 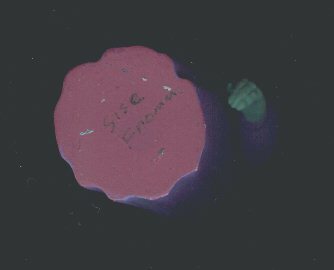 Currently, no other samples of this Sise Fromm figure are known to exist. Even though the head and arms are similar to the production version, this entire design was scrapped and resculpted. I guess this could be considered the profile of a gangster. 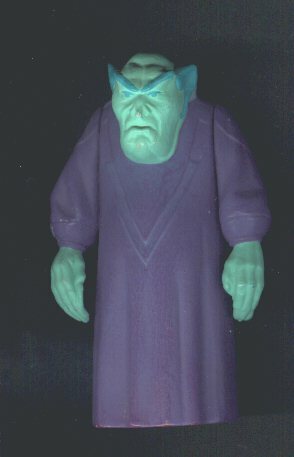 A figure made like this just doesn't have play value, and I suppose Kenner decided to make him mobile and give him a nifty cloth robe to wear. They made the right decision, but it's still neat to see what could have been. Some iterations have been skipped, but at this point the tooling has been created and injection molded versions can be made similar to what is shown here. Unlike most standard first shots, this piece does have dates on the leg. 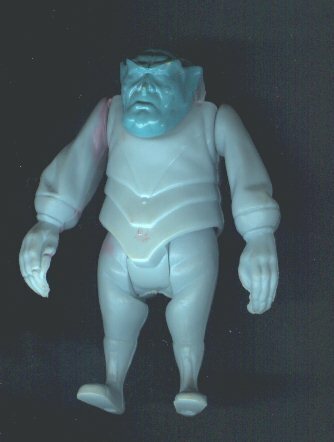 However, the head is molded in a different color. This gives you a good idea of just how much changed on the figure before it was released to the public.